For some it may seem too late in the summer to take the leap and transition their climbing habit to the outdoors. But not only is it never too late to start gaining experience, late summer and fall are some of the best times to get out! Less bugs and cooler temperatures make for a more comfortable experience (and more friction on the rock). Whether you are interested in top roping, bouldering, or leading outdoors; our guest blogger Leslie Timms has some great tips to guide us through a smooth transition. For the experienced climbers out there; let this be a little refresher. It never hurts to know more. In all honesty I picked up a thing or two out of this and am inspired to learn more and be better prepared (and safer) for my future trips! DONT BE THE NEGLIGENT NEWBY! 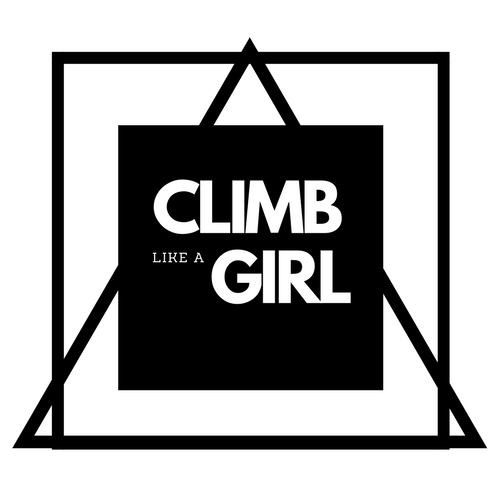 Educate yourself on the necessary skills and ethics that will make your transition from gym climber to outdoor climber a breeze. Climbing has risks! You are dangling from the edge of a cliff and you should know what you are doing up there. Climbing gyms create a very safe and accessible atmosphere that isn’t what it’s like on the real rocks. Don’t believe everything your buddy at the gym taught you or what you saw on You Tube. Bad habits spread like wild fire and increase the risks for everyone. Hire a trained guide for the day with some friends, read informative books/articles written by outdoor professionals and practice everything in a controlled setting. Many skills such as “cleaning an anchor” on a sport route, must be practiced thoroughly on the ground. Trying to figure it out 60ft up on a cliff is a recipe for disaster. Learning from a trained professional will give you the confidence to safely push your limits outside. Learn about the area you are planning to climb at. Buy a guide book, research online and ask local climbers/gear shops/guides. Check in with local access coalitions about potential access considerations or issues. Find out about the style of climbing and protection that the area offers. PLAN, this is the great outdoors after all. Come prepared with appropriate clothing and footwear, a back pack, water, food, lighter, headlamp, FA kit. What direction does the cliff face? How tall are the routes? How long is the approach? Have an emergency plan, not everywhere has a cell signal. Don’t expect all bolts/anchors to be safe and learn how to recognize unsafe bolts, have a wrench in your pack to tighten loose hangers that you come across. The more prepared you are, the less trouble you’ll run into. We are so fortunate to have these amazing crags to climb at and most of them are open because of the hard work of local climbers, generous private land owners, government organizations and access coalitions. They are also home to many sensitive species, and are commonly shared with other recreational user groups. Treat these crags with the respect they deserve. Don’t pee under overhangs/roofs/established climbs, it doesn’t always wash away. Take a nature walk and dig a hole to poo. Pack out TP. Share the crag. Don’t climb in a huge group or take over a climb for hours. As incredible as it is to climb on real rock, it unfortunately comes with the inherent risk of rock fall. While climbing, knock on the rock if it looks suspect. If it sounds hollow, look for a more solid sounding place to grab or stand on. If there is nothing else available, warn your belayer to stand out of the fall line, climb smart and light or come down if it is too dangerous. Try not to pull outward on loose rock and if a rock does fall off, yell “ROCK!” as loud as you can. As a belayer, try not to stand directly beneath the climber and adjust your positioning as they advance up the route. Wear a helmet. Keep in mind that springtime can be much worse for rock fall as the freeze thaw effect can shift the rock. Develop good habits that will save your life. Triple check everything before you leave the ground. Accidents caused by small mistakes, bad habits or simple negligence can be catastrophic and are preventable. Even experienced/professional climbers have made mistakes as simple as not properly tying a figure 8 knot. Climbers can go into auto pilot and this leads to complacency. During a long, thrilling day outside, triple checking the system will keep you and your friends alive. Climbing is very dangerous if you miss a step. Pay attention and put the phone away, the Gri Gri is not a hands free device. Always have a knot in the end of your rope while lowering or rappelling! If you don’t know fundamental skills, communication and safety checks like this, learn them! Your climbing gear is your lifeline! Treat it that way and replace it when it becomes worn, damaged and unsafe. Inspect your carabiners for sharp grooves, and make sure the gate/locks work properly. Inspect ropes for flat spots/core shots and switch up the end you’re climbing on regularly. Inspect sings/draws for wear and tear. Protect your rope/cord/webbing from sharp edges and untie all knots after each climbing day. Buy a rope bag to keep your rope clean. Don’t store your gear near strong acids/chemicals such as a car battery or swimming pool acid; find a protected spot like a storage bin in a controlled environment. Replace anything that you are starting to question, how much is your life worth?